Locations in Indore, Bhopal and Delhi (Green Park) were being raided and those being searched included Nath’s former Officer on Special Duty (OSD) Pravin Kakkad, former adviser Rajendra Miglani and executives linked to his brother-in-law’s firm Moser Bayer and his nephew Ratul Puri’s company. Both Kakkad and Miglani resigned from their posts just before the Lok Sabha polls were declared. 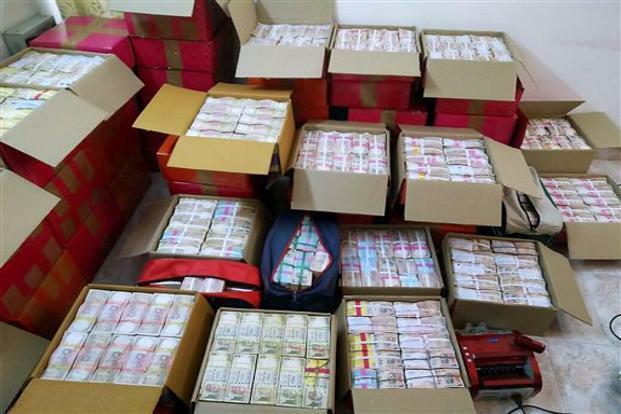 A team of about 200 IT department and police officers swooped down on these premises around 3 am and some undisclosed cash was recovered.